WOW — Sixty Singers Attended Side by Side’s Launch in Hendersonville! Sixty singers sang with great gusto old favorites such as “Take Me Out to the Ball Game,” “Oh What A Beautiful Morning,” and “Sentimental Journey.” We also learned a new song, “I Will Carry You,” written by Lyte Henrickson. We sang in rounds, we sang in harmony, we sang in joy! If you missed the first session you are very welcome to join us for the next session — August 27 at 1:30. Delicious refreshments follow the singing to enhance our social time! The event is sponsored by the NC Center for Health and Wellness. 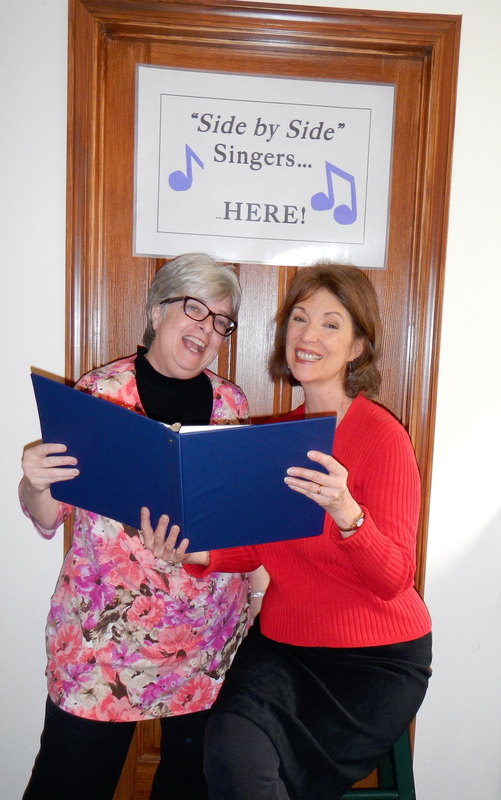 Debbie Nordeen, right, and Ruthie Rosauer are facilitators of Side By Side Singing. Published: Friday, August 15, 2014 at 4:30 a.m.
Last Modified: Thursday, August 14, 2014 at 11:44 p.m.